The people spoke, and politicians finally listened. Last week, the European Parliament rejected the Anti-Counterfeiting Trade Agreement (ACTA) in a rare sweeping majority vote. After years of secretive negotiations over this international agreement that would crudely protect intellectual property at the expense of Internet freedom, it has been defeated in Europe. Opposition elsewhere in the world continues to flourish, as suspicion grows that the remaining signatory countries may still be obligated to uphold the agreement and ratify it into their laws. It’s undeniable that this victory in Europe was the direct result of the hundreds of thousands of individuals who demonstrated in the streets and continued to spread the word about ACTA and the ways in which it would put a choke hold on their Internet and digital rights. But this wouldn’t have been possible without the relentless work of European civil society organizations in the years and months leading up to the final Parliamentary vote. Organizations such as European Digital Rights, La Quadrature Du Net, Open Rights Group, and Foundation for a Free Information Infrastructure, with ample support and coordination from Anonymous groups across Europe, all worked tirelessly to rally unprecedented numbers of people across national borders and groups to speak out against an agreement in defense of their digital rights. There’s a majority consensus that ACTA now lies dead in Europe. There are however, a few murmurs of concern following comments from the European Commissioner and ACTA backer, Karel De Gucht. He said that he still awaits the decision by the European Court of Justice to make the final decision on whether it truly violates fundamental human rights and freedoms. It could be a move for him to save face after the years of negotiations went to waste, but of course, it would be extremely politically costly for the Commission continue to defend ACTA by name despite the huge popular European opposition against the agreement. So the question is, what’s next? 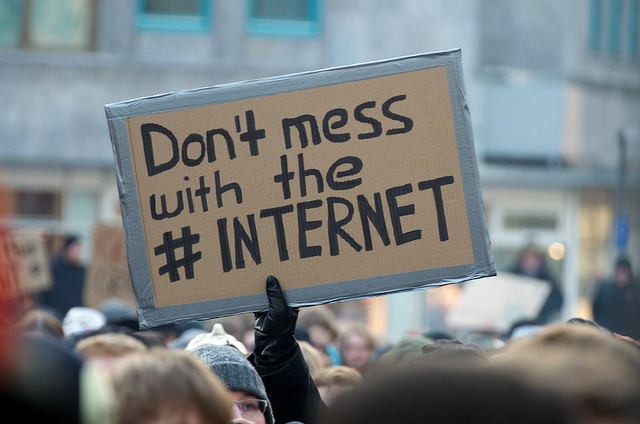 Will ACTA survive this big blow in Europe? While the answer still remains pretty murky, we have some grim indication that it may survive in other ways. The signature of ACTA by the Mexican Executive is a blatant disobedience to the Mexican Senate and sends the people a message that states that the government is not interested in respecting its own laws nor listening to its people as long as it fulfills its commitments with his foreign partners. The ultimate goal of a Trans-Pacific Partnership agreement has always been to link Oceania, Asia, Latin America, and North America... With Canada and Mexico's pledge to embrace the TPP principles, we are a step closer to realizing the power and promise of that worthy ambition. Embracing ACTA is therefore becoming the pathway to embracing the TPP. ACTA’s membership may initially be more Pacific-oriented than would be true with E.U. participation … There continues to be a need for international cooperation on these issues, and the ACTA can still serve as a valuable forum through which countries can coordinate to stop counterfeit trade and piracy. This is consistent with an earlier statement from a U.S. government representative, stating that ACTA would not necessarily have to exist with the EU. There hasn’t been other political movement on the U.S. front but we’ll be continuing to keep a watchful eye on this. Even if ACTA eventually does wither away into oblivion, there’s growing evidence that its provisions will creep into trade agreements. This is the case with the Canada-EU Trade Agreement (CETA) where ACTA’s copyright provisions are replicated almost word-for-word. CETA, just like ACTA, is being negotiated in secret, and since the draft text has not been officially released, we only know what’s contained in it thanks to leaked documents [PDF]. Due to widespread press coverage that ACTA may live on in CETA, a EU trade spokesperson confirmed this week that some of the ISP liability provisions were dropped from the agreement. However, they did not comment on CETA’s other provisions upholding digital locks, civil damages, and criminal provisions that are likely already set in stone. As such, it seems that toxic IP policies will get transplanted into agreement after agreement, and from large multi-lateral fora, such as the World Intellectual Property Organization, to secretive plurilateral or bilateral agendas. They will continue doing so until their desired policies get passed under the radar without the public or civil society noticing. This could be the beginning of a very bad in international intellectual property policy and not the best way to build policy for the 21st digital society. 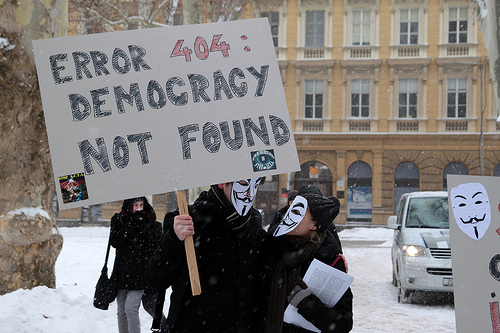 Last week’s defeat of ACTA in Europe is indeed an incredible victory after a long and hard fight. Still, it was a single battle within a bigger, more ominous war over intellectual property fanaticism and its heavy ramifications on the future of the free and open Internet. ACTA’s rejection in Europe gives those of us who are not willing to sacrifice digital rights for IP protectionism, the long-needed hope that we’re on the winning side.